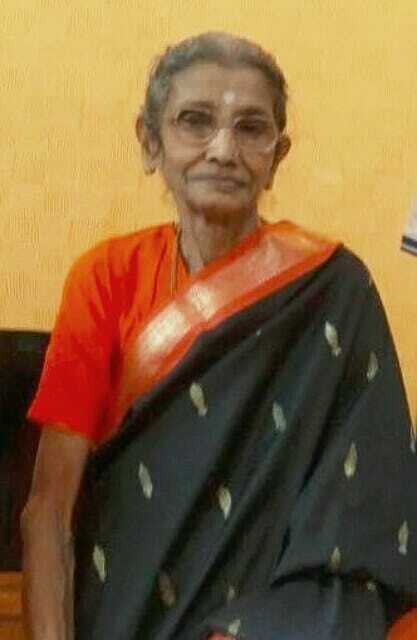 Elderly person in the picture Smt Nagarathna is missing since Oct 18 from Tumkur. 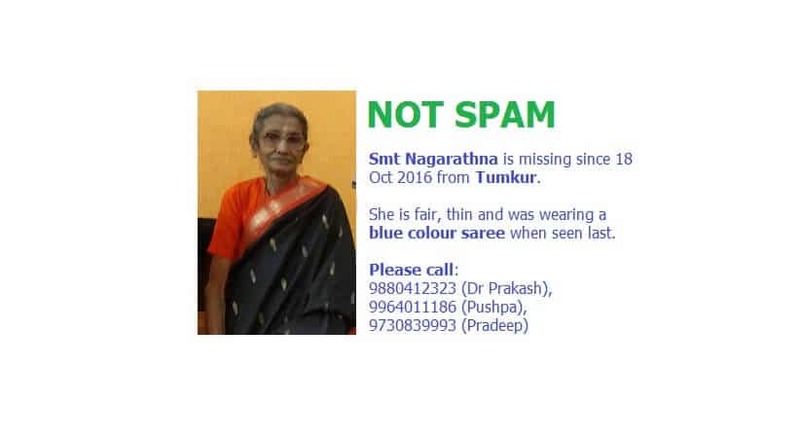 She is fair, thin and was wearing a blue colour saree when seen last. Please support us and let us know any details you can provide.share this post and please help us spread the post! 18 Oct 2016: Check4Spam received a message from Mr. Padapi Pradeep about this case. We verified the details at the post and found it to be authentic. Also as we have a point of contact in Mr. Pradeep we could quickly add a post.